Spinal injuries can arise in many situations: on the road, at work, in sport. Investigation of spine mechanics can be of help in the evaluation of the spinal structures. Due to the natural inaccessibility and the complex structure of the spinal segments, in vivo measurements of their mechanics are very problematic. Intervertebral kinematics is closely related to the state of the individual spinal segments and then to spine functionality. Research on intervertebral motion has, therefore, been widely regarded as an essential prerequisite to improve the knowledge of the mechanics of the spine and its disorders. Clinical application of spine kinematics analysis may include diagnostic assessment of spinal instability and evaluation of surgical treatment. 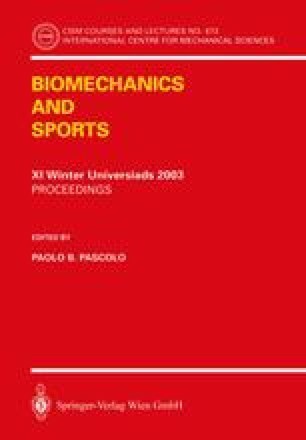 The aim of this script is to provide an historical perspective about the methodologies for the analysis of spine motion, developed over the years at our Department. The authors wish to thank the private hospital ‘Clinica Villalba of Prof. Umberto Bracale’ (Naples, Italy), with which the University of Naples has a non profit collaboration for scientific purposes, for providing fluoroscopic data and clinical support.